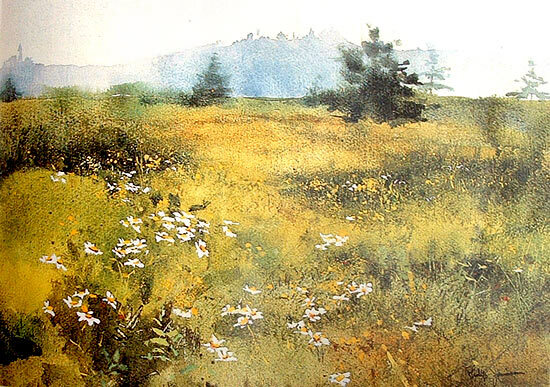 Some watercolor painters today made ​​some excellent works that I keep in my blog. 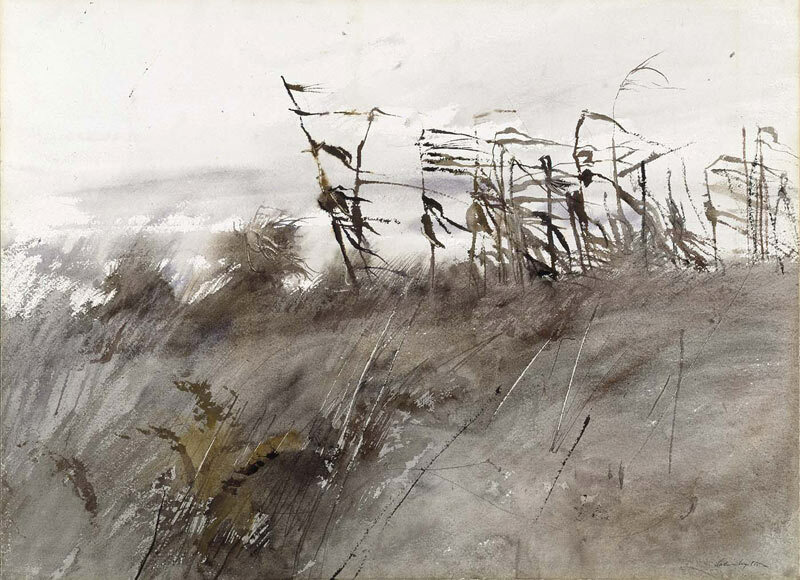 For example, artists like John Blockley, Philip Jamison and Richard Bolton, alongside some more. 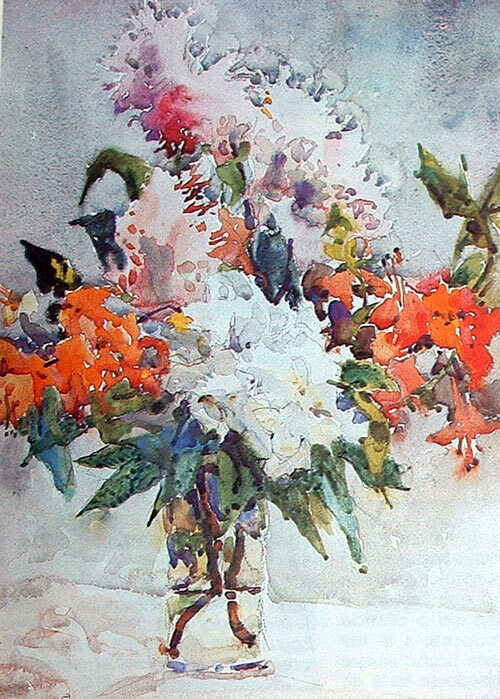 Watercolor is a difficult technique but with spectacular beauty. Water has the ability to represent itself, but also water represents the nature that feeds and all the things that the water touches and that gives it life. 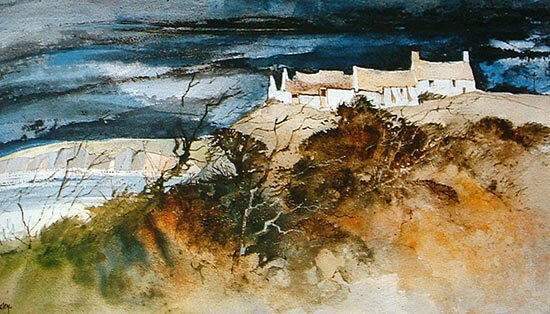 El estilo de este artista crea zonas expresionistas con la acuarela, integrando esas pinceladas fuertes con el paisaje. 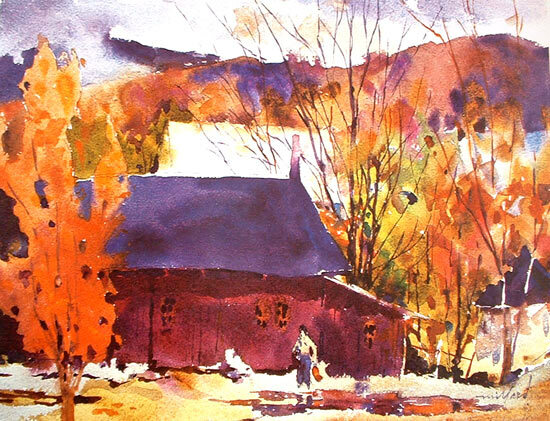 The style of this artist is to create expressionists areas with watercolor, integrating his strong strokes with the landscape. 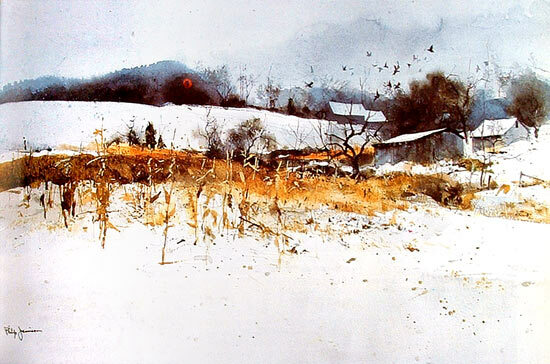 The farm, by John Blockley. 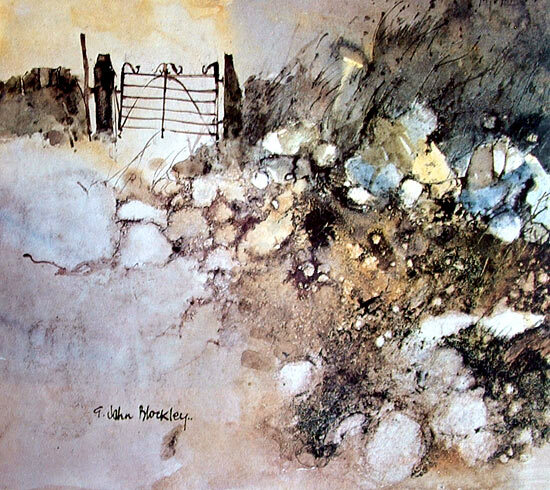 Iron gate by John Blockley. 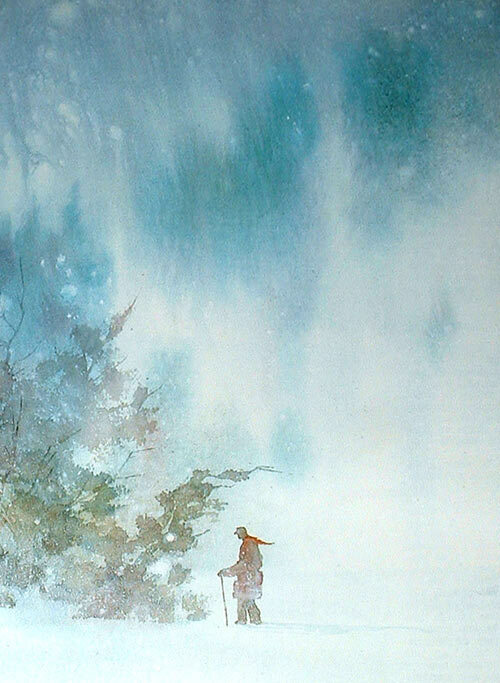 Philip is a more subtle and delicate painter. Atmospheres and sweet details. 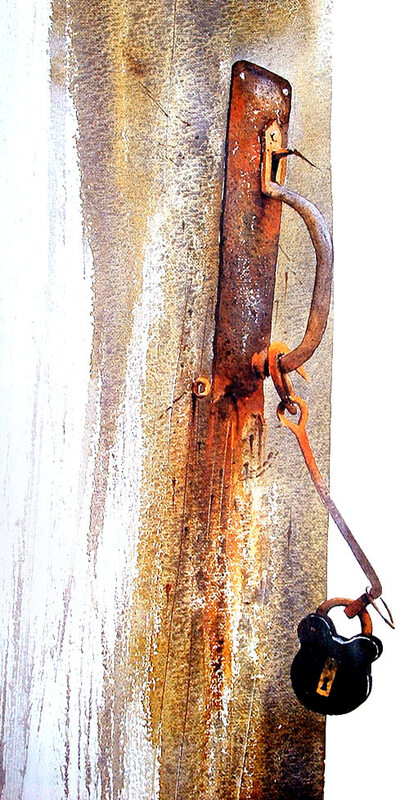 The painter of the texture, metal, rusted and worn. 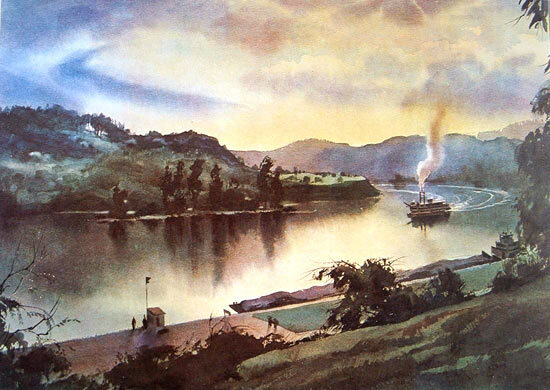 Sky sunset on the Ohio River, Watercolor by John Pike.